I was obsessed with The West Wing, and as someone who wanted to be a speechwriter, Sam Seaborn was my favorite character. I thought Rob Lowe was an incredible actor (and it helped that he is so cute too!). The second I saw that he had an autobiography coming out, I requested it at the library! Rob writes very honestly, but also in a very kind manner. He never says something bad about any of his costars or friends. You can infer that there were some issues, but he is incredibly respectful of all those he worked with, which is probably a big reason he has been able to be so successful. He opened up about his addiction and what it took for him to get better, which showed a lot about him and his character. It made me respect him a lot. His hard work and perseverance is a great example to everyone. He didn’t luck his way into the business, he worked hard and made difficult choices. He saw his mistakes and worked to make it better. It was a lot of funny reading about everything he has down and the atmosphere of the shoots. I know that it can’t be easy, but to read a little of what actors have to go through shows why some of them have to be so intelligent. Reading about The West Wing was probably my favorite, since that is what I connected to, even if it was only 40 pages (plus the beginning of the book). I was sad to see how he was treated at times. Everyone else got a raise and he didn’t. He was replaced on covers and there were photo shoots without him. I always wondered why he left so early, and it was a little disappointing to see that he just wasn’t treated with the same respect as everyone else. 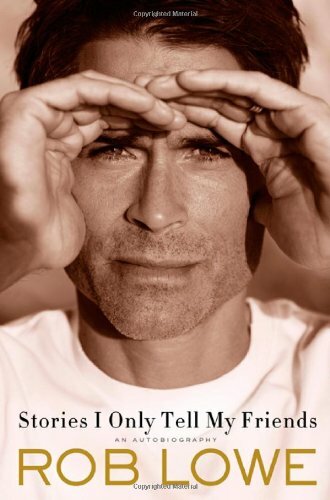 It was a great book if you like Rob Lowe. His writing is pretty good. There are times he is a little wordy, but I was impressed! Are you a Rob Lowe fan? Have you read the book? Let me know in the comments! I wasn’t completely sure about this book. It is women’s fiction and the cover is pink. But what got me excited was the life-changing moment that Michael experienced and its effect on everyone around him. Most people dream of hitting it big one day…but what if by being a success you lose everything that is important and has meaning? And this book delivers on those themes and gives a whole lot more. Julia is a character that I just connected with. I could see things from her perspective and understand it. On the surface, thinking of leaving your husband because he gives everything away sounds horrible. But as I read about their marriage that has been falling apart for a decade and the compromises she has made…I understand it completely. I not only see her perspective, but I understand it and may have done the same. Pekkanen has written a beautiful and touching story. I loved the style of this book. It was so much better than I expected. Don’t read it though if you don’t like sad stories. I started crying at the end of the book. I don’t want to spoil the end, but there is a lot of sadness, mixed with a lot of happiness. It is a great book that I will recommend to just about anyone…and I am giving away my copy! You don’t have to follow or anything! I cannot wait to hear what everyone else thinks about this book! I haven’t posted any reviews lately, but there is a reason for that. I have been trying to read through my BEA books, so most of them aren’t out for a couple months still! I have the reviews written and scheduled and can’t wait to see what everyone else thinks. I have been busy reading, applying for jobs, and spending time with my husband and some friends! The next few weeks will be busy too! On Thursday we are going on a mini vacation – 4 days, 3 nights at an all inclusive adults only resort. It should be a lot of fun! Then we are home for a week, then going to a Food and Wine Festival in Atlantic City, and then we are heading to Ohio to see my family for a week and a half! It will be busy, but a lot of fun! I am hoping to get a lot of reading done! I am giving away my ARC of Glow by Amy Kathleen Ryan – a highly anticipated YA book coming out at the end of September. If you want to win, it is simple! Just leave a comment saying you would like to be entered into the contest. Make sure you give me your email address! One extra entry for tweeting (please give me url for tweet). Ok, well no spoilers if you have read the books, but I won’t say if things were or were not in the movie. Any talk of it is just saying I hoped it would be there. Last night I headed to the theater for the last Harry Potter movie. I didn’t care if it was late or crowded. I needed to be there for the midnight showing. I needed to be around people who were connected to this series and by this series. With others who would cheer when Neville killed the snake and cry when Harry used the Stone.I wanted to feel like I was with the community in a large scale one last time (well until I can finally go to another convention, but it was really the last time as a large group). And it didn’t disappoint. The movie theater management did because it was a mess that resulted in us running from theater to theater to find an empty seat even though we bought our tickets a week ago (yeah, AMC heard about that one from me today!) and finally getting seats as the last trailer started. But the movie didn’t disappoint at all. David Yates and all the actors got what this movie meant. It was almost perfect (one edit was a little off, but that is only ONE EDIT). My two favorite scenes of the entire series were not only in the movie, but were acted perfectly. I could not ask for more. I laughed (so glad they added in a couple jokes that weren’t in the book). And I cried. I cried four times during the movie. But more than that, as Jason and I walked out of the theater, I just had tears streaming down my face and I couldn’t stop. No more midnight releases. No more waiting anxiously to see what comes next or how they adapt it. No more excited anticipation and the long talks of what they better keep and how they better do it. Just…no more. There is a DVD release, but I just can’t get myself to be as excited about it. Will I get the inevitable 8 disc + Blu-Ray set? Yes, but it just won’t be able to be like this ever again. Jason didn’t get it. I don’t think many people out of my generation can get it. Some will, but most won’t, not really. I read the first Harry Potter book when I was 12. I have been a fan from the very beginning. Now I am 24. Harry has ben with me for half my life. I grew up with Harry, Ron, and Hermione. I learned things from them about love, respect, and friendship. This series was a huge part of my development into who I am today. I will miss them. I can always go back to the books, and I know I will, but it just isn’t the same. I will miss Harry, Hogwarts, and the entire world that J. K Rowling created. I think I will get back into wizard rock. I haven’t been interested in a while, but I miss the people. I made some great friends from this series and I don’t want to lose them now that it is down. “Enchanted the world with the story you wrote of a boy who was ordinary. And now parents read to children who have long been asleep, ’cause they want to know more about wizard Harry. How far you have come. How far you have come. So, Ms. Rowling, here is a song I wrote for you. ‘Cause I’m grateful for all that you’ve taught me, and inspired me to do. You showed me good triumphs over evil, and you taught the whole world how to read. So thank you, Ms. J.K. Rowling. While I was at BEA, I tried to look for books that were outside of my usual reads, but things that still looked interesting. I got more middle grade than YA, and lots of adult books that looked insightful, exciting, or just fun! So far, it has been going pretty well. I am glad I am trying new things! But every so often I find out I don’t really like the books, and I tend to be disappointed about it. I want tot like books. I want to be able to finish it and give it a great review and share it with everyone I know. I used to force myself to finish a book no matter what, but there are too many books out there that I want to read to finish books I am not into. And I am giving a book that just wasn’t for me to one reader. It isn’t that the book was bad, it was entertaining, it just wasn’t for me! On the surface, Lucy Hamilton looks just like all the other stay-at-home San Francisco moms. She takes her three-year-old son, Theo, to the beach, to the playground and to the zoo. She feeds him organic applesauce and free-range chicken. She folds laundry and plays on the floor with Matchbox cars until her knees ache. What no one knows about Lucy, not even her adoring husband, is that for nine years Lucy was Sally Sin, a spy for the United States Agency for Weapons of Mass Destruction. And that’s just the way she wants to keep it – a secret. But when Lucy’s nemesis Ian Blackford, a notorious illegal arms dealer, hits the USAWMD’s radar, the Agency calls Sally Sin back to action to lure Blackford out into the open. Racing against time, Lucy must fight to save herself, her loving family – and, oh right – the world. Hilarious and resonant, ORIGINAL SIN is the story of one woman’s quest to find that most elusive work-life balance in the face of danger, intrigue, and proper recycling habits. It is for US/Canada only. If you are interested, post a comment with your email address. This will be open for one week. One extra entry for a tweet (please provide link). One day Luke stuns his inner circle by informing them that he has decided to run for president of the United States. His friends offer to help out with the campaign but a fundraiser, hosted by Luke’s good friend, becomes the subject of an incredibly negative gossip item that threatens to jeopardize the campaign. Meanwhile, Luke’s wife is ambivalent about her husband’s political aspirations, and grows increasingly wary of life in the spotlight. In addition to the story of the campaign, the novel also follows the lives of Luke’s tight knit circle of friends and reveals how his amazing race changes their lives forever. 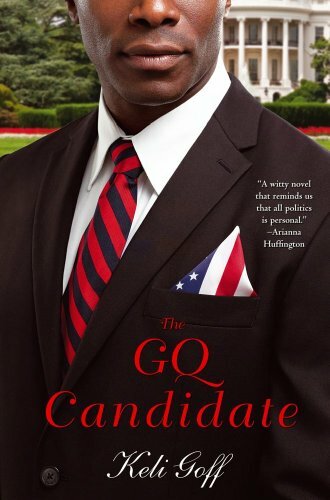 First, this is a book that is about a politician without being about politics. So no matter what you political views are, you can still enjoy this book. Yes, the candidate is a Democrat, but there are not any Democratic talking points, so even Republicans can enjoy this book! That said, if you are an avid reader of the Huffington Post, you probably have read some of Keli Goff brilliant articles. And if you have, then I shouldn’t really have to say anything else. If you like her writing and how she handles tough issues there, you really need to read this book! The great thing is that these aren’t tough political issues, they are the tough issues like faith and race. Luke was adopted when he was two and was raised incredibly well by a white Jewish family and practices the Jewish faith himself. When running for President, it become an issue for some voters. Reading about how he and his campaign deal with Luke being a black man other black people cannot relate to, and a Jewish man who Jewish people can’t relate to was one of my favorite parts of the book. More than how he dealt with it was how his family stepped in to help him every step of the way. The book is about all of his friends and family though, which is what made it such a pleasure to read. Running for president changes everyone’s life and this is an in-depth look at those changes. Friendships are tested and some fall. Marriages struggle to stay alive (and not just the candidate). I also wanted to mention that the book is quite funny. Luke tries to find humor in most situations and I often found myself laughing out loud. This book was great and I suggest anyone who is interested in politics, or would like to see what it could be like to be thrown into a campaign, to read this book. Title: What Happen to Goodbye? 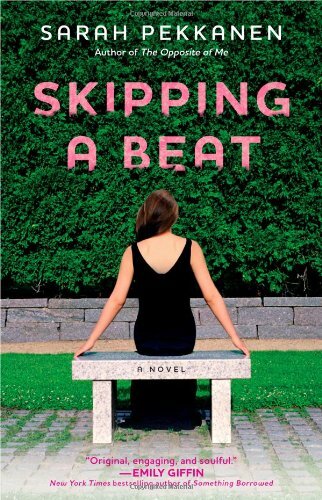 This is not your typical Sarah Dessen book. Don’t get me wrong, there is an awesome female character, some fun friends, a great plot, and a swoonworthy boy (who is also nerdy!! YAY). But the main plot isn’t about Mclean getting with that guy, or building their relationship, it is about Mclean finally figuring out who she is and trying to find out how to have a relationship with a mother who she believes has ruined it all. I have to say that I loved reading a book about family and self instead of romance. Okay, well family with a little romance. Still, Mclean had spent so much time reinventing herself to fit into each new school that she lost who she was and what she liked. She also didn’t seem to know what it was like to really be friends with anyone. She lived life for the temporary, which made her new relationships and the relationships with her family even more real. This is one of the better or Dessen’s books. I connected with Mclean and enjoyed every page of the book! Sis you read it? What did you think? Let me know in the comments!